We want YOUR thoughts! Click the links to YouTube and share your comments below! Subscribe to our channel if you dare! PODCAST | Winter Soldier or Black Panther? Iron Man or Captain Marvel? 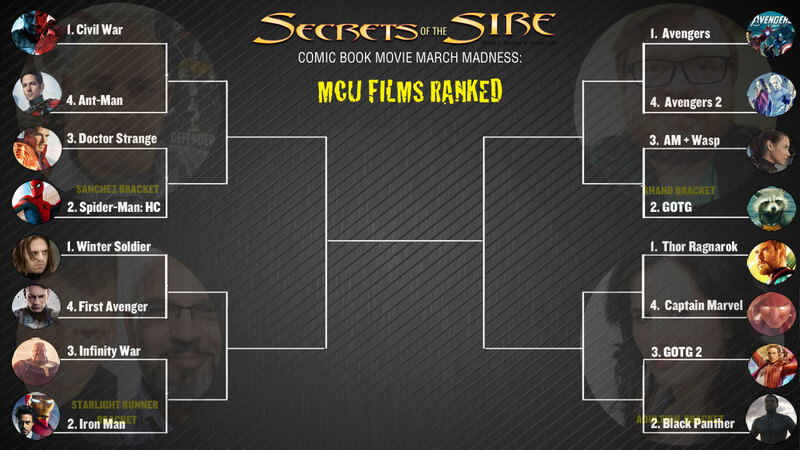 It’s March Movie Madness as we rank the top 16 MCU films bracket style! PLUS: Devils Due Publisher Josh Blaylock goes DEEP in a candid interview about his companies past present and future. Burgeoning publishers and creators do NOT want to miss this! In fact, from 2008’s Iron Man to 2018’s Ant-Man and the Wasp, and now to Captain Marvel, the MCU has produced 21 movies that have almost-uniformly generated lofty scores on our review-aggregate sister site, Metacritic. Even the “worst” MCU movies — we’re looking at you, Thor: The Dark World — aren’t terrible, according to critics. Or, to put it another way, in the MCU, there’s not a Suicide Squad in the bunch. In honor of Captain Marvel’s release, co-starring Samuel L. Jackson as a two-eyed, non-bald Nick Fury, and Animal Kingdom’s Ben Mendelsohn as the intergalactic villain Talos, we decided go back and dig up the Metacritic scores of all the MCU movies. It was quite the educational endeavor, actually. Here’s what we learned: One, right after Iron Man, the MCU actually sputtered with critics, with neither the Thor- nor Hulk-launching vehicles generating the acclaim of the MCU-launching, Jon Faveau- Robert Downey Jr. collaboration; two, the Captain America movies, Captain America: The First Avenger, Captain America: The Winter Soldier, and Captain America: Civil War, all starring Chris Evans, are considered the most consistently excellent of the Avengers’ solo films; three, the Avengers’ actual Avengers movies, The Avengers, Avengers: Age of Ultron, and Avengers: Infinity War, though all mega box-office blockbusters, are only middle-of-the-MCU-pack critical favorites; and, four, did we mention nobody likes the Chris Hemsworth-led Thor movies–unless the word “Ragnarok” is in the title? “Bigger is not always better,” says Mick LaSalle of the San Francisco Chronicle. It’s “only a shadow — if an agreeable and harmless one — of its predecessor film,” says Shawn Levy of the Portland Oregonian. Another Thor movie, another “meh” movie. The 2011 Kenneth Branagh-directed franchise-starter is, per the Village Voice, “an astonishingly awkward marriage of ancient Norse mythology and 21st-century nonsense.” And, no, not even Anthony Hopkins’ Odin can save it. Released a month after Iron Man, this 2008 effort, from the Transporter franchise’s Louis Leterrier, is somewhat better regarded than the 2003 Ang Lee version. But critics ding star Edward Norton for being, as the New York Daily News puts it, an “intellectually disengaged” Bruce Banner. This dark, but satisfying 2013 entry course-corrects the Iron Man franchise by focusing on how an emotionally broken Tony Stark (Robert Downey Jr.) tries to recover from The Avengers’ Battle of New York. This 2015 heist comedy starring Paul Rudd (who co-wrote the script) caps off the film series’ Phase Two. Though the film represents a relative deep dive into the Marvel catalog, it produces top-drawer results for the MCU. This 2015 film, the second Avengers movie (again directed by Joss Whedon), pits the team against one of Tony Stark’s A.I.-programs- gone-wrong. It’s powerful, and it introduces key elements to the MCU, including Paul Bettany’s Vision. But it’s less well-regarded than its predecessor, in part, because it gets all weird about Hulk (Mark Ruffalo) and Black Widow (Scarlett Johansson). “The action sequences aren’t especially well designed, and the plot, such as it is, is essentially one catastrophe after another,” opined Peter Rainer of the Christian Science Monitor. The 2011 film, which introduces Chris Evans’ star-spangled Steve Rogers to the MCU, earns its stripes for telling its (mostly) World War II-set origin tale with an earnestness that Tony Stark would snark at. Set in the 1990s, this sci-fi-tinged 2019 MCU installment with a Top Gun vibe is flying high with critics who give it good marks for telling the origin story of the titular fighter pilot turned galactic hero (played by Brie Larson). This 2017 sequel stands accused of not feeling as fresh as its popular 2016 predecessor. Critics, however, still like it because, well, it’s hard to hate a movie with a baby Groot (voiced by Vin Diesel). “Thankfully, Vol. 2 does come together in the end with a powerful emotional payoff,” says Bryan Bishop of The Verge. If you remember this 2018 superhero-disintegrating epic as the best MCU movie ever, then you’re remembering it differently than critics, who, on the whole, don’t think it’s even the best Avengers movie ever. Reviewers’ main beef? The film’s bleak ending, courtesy of the genocidal Thanos (Josh Brolin), feels unresolved … until, presumably, Avengers: Endgame arrives. The culminating film in the MCU’s Phase One sees Iron Man (Robert Downey Jr.), Captain America (Chris Evans), Thor (Chris Hemsworth) and super friends unite — and eat shawarma — in an exhilarating 2012 Joss Whedon film. A political-conspiracy thriller in superhero drag, this top-notch 2014 film from brothers Anthony and Joe Russo reveals that Hydra has infiltrated our government at the highest levels — even diplomats who look like Robert Redford! This 2016 Phase Three movie, about an impaired surgeon who comes into fantastic, time-bending powers, is paced by Benedict Cumberbatch’s lead performance and trippy visuals. “The space-and-time warping and mirrored realities in Doctor Strange are a blast. They’re inventive enough that they awaken wonder, provoking that delicious question: How did they do that?” wrote Manohla Dargis of The New York Times. The MCU’s first Spider-Man-centric movie is a winner. Released in 2017, and starring Tom Holland, Spider-Man: Homecoming boasts a Metascore that ties it with Sam Raimi’s first Spider-Man as the second-highest-rated live-action web-slinger film to date. “Hilariously infectious and full of hope, Spider-Man’s return to Marvel couldn’t be more welcome,” said Jamie Graham of Total Film. The third time’s the charm for Thor. This funny, fun, Asgard- destroying 2017 movie boasts the best — and only green — Metascore of the hero’s movies. “Thor: Ragnarok is a blast, pure and simple,” says Bill Goodykoontz of the Arizona Republic. Filmmaker James Gunn’s first Guardians movie, from 2014, makes household names of C-list Marvel characters Star-Lord (Chris Pratt), Gamora (Zoe Saldana), Drax (Dave Bautista), Rocket Raccoon (voice of Bradley Cooper) and Groot (voice of Vin Diesel) thanks to an infectious spirit — and pop soundtrack. It is indeed Groot. “It’s corny, it’s dopey, it’s sincere, it’s romantic, it’s thrilling and it leaves one anticipating the next adventure of these heroic goofballs,” says Richard Roeper of Chicago Sun-Times. This 2008 film is the point of origin for the Marvel Cinematic Universe — and, according to critics, still one of the film series’ best. Made for a relatively frugal $140 millon, the Jon Favreau-directed effort draws praise for its heart and for star Robert Downey Jr.’s witty hero turn. “… [T]he first comic-book movie in a while that actually feels like a classic comic book: fast, furious and flip,” said Joe Neumaier of the New York Daily News. Wakanda rules. This landmark 2018 Ryan Coogler film is the first superhero movie to land an Academy Award nomination for Best Picture, as well as the first MCU movie to win an Oscar. (It actually won three statuettes: for score, costumes, and production design.) Critics may be even bigger fans than Oscar voters: It’s the highest- ranked film in this Metascore-driven rundown. Segment 4: Spin The Racks! Months after firing the Guardians of the Galaxy director over past offensive tweets, Disney reversed its decision. When Disney fired James Gunn last July, it seemed like an object lesson of that ever-relevant and oft- repeated internet maxim: Never tweet. Gunn, the director of Marvel’s popular Guardians of the Galaxy movies, had joined Twitter in 2008 when it was a little-scrutinized sounding board for half-baked jokes and unprintable thoughts. 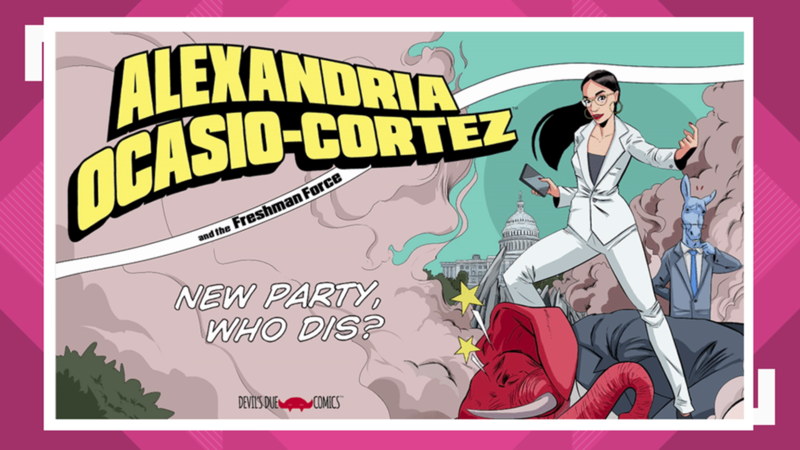 He had also long worked in the transgressive world of Troma Entertainment, a genre-movie company that specializes in churning out cheap, self-aware trash. As a result, Gunn’s Twitter feed was littered with tasteless, offensive material—all of it years old. When several right-wing online figures unearthed some of the worst tweets and began circulating them, Disney quickly cut ties with the filmmaker. What changed Disney’s mind? Per Deadline, Horn was impressed with Gunn’s public and private comportment after the firing; the director didn’t blame Disney, and he wasn’t involved in any additional scandals. The narrative that Gunn’s firing had been engineered by right-wing Twitter personalities who were angry about the director’s criticism of President Donald Trump also gained prominence. Plus, Gunn continued to get work—he was hired by Warner Bros. last October to write a new Suicide Squad film for the rival DC Comics movie universe, a project that he’ll complete before returning to Marvel for Guardians 3. In other words, Gunn’s quiet and straightforward handling of the entire situation, combined with the Hollywood establishment’s continued support of him, turned the tide in his favor. Still, Disney’s reversal illustrates how difficult it can be to determine when a so-called joke is offensive or harmful enough to warrant serious professional consequences. After all, some of Gunn’s tweets (including those that made light of pedophilia and sexual assault) are genuinely uncomfortable to read today, even if they were intended as a Twitter version of shock-jock radio. Gunn openly addressed his earlier mentality: “I viewed myself as a provocateur, making movies and telling jokes that were outrageous and taboo … In the past, I have apologized for humor of mine that hurt people. I truly felt sorry and meant every word of my apologies. So what separates Gunn’s tweets from, say, the bigoted Twitter tirade that got Roseanne Barr fired by ABC (another part of the Disney Corporation)? For one, Barr’s invective about African Americans and various conspiracy theories was a years-long problem on her social-media feeds that continued into the present day and that appeared to reflect personal beliefs—weakening Barr’s argument that her tweets were just jokes made “in bad taste.” And unlike Gunn, Barr lost the support of much of her cast and crew, some of whom refused to participate in future seasons of her show. She eventually agreed to let the Roseanne reboot go on without her and with a new name. It’s worth noting that before ABC finally cut bait, Barr had been insulated by her show’s huge ratings. Massive success can help public figures survive outrage over abhorrent behavior—regardless of their efforts to meaningfully address or apologize for their mistakes. While morality matters in Hollywood, market results do, too. The director and actor Mel Gibson has returned to major studio work despite past incidents of alleged domestic abuse, racism, and anti-Semitism, thanks to his smaller and critically well-regarded film, Hacksaw Ridge. Gibson has generally avoided apologizing or accounting for his behavior as Gunn did, instead often referring to multiple incidents as “one mistake” or “one bad night.” More recently, the Fox News pundit Tucker Carlson faced no fallout from his employer after the progressive nonprofit Media Matters drew attention to a trove of racist and sexist remarks he made between 2006 and 2011 on a Tampa radio program. Carlson—one of the network’s highest-rated hosts—outright refused to “express the usual ritual contrition” about his previous comments and continues to broadcast. Some might argue, as David French did for National Review, that the kind of “fishing expedition” that unearths a prominent figure’s old comments are the real problem. French claims such partisan investigations are part of “an outrage industry that spends millions of dollars (and countless man- hours) in the quest to destroy the lives and careers of the people it dislikes.” But Gunn isn’t just recovering because of his liberal political leanings. The penalties and rewards he has faced reflect, in large part, his contrition and refusal to wave away his past actions or blame his critics. “I am very, very different than I was a few years ago; today I try to root my work in love and connection and less in anger,” Gunn said in 2018. “I used to make a lot of offensive jokes. I don’t anymore.” His apparent willingness to accept the hurt he’d caused and bear the cost ultimately helped him win his job back, as did his track record of turning an unproven property like Guardians of the Galaxy into a box- office hit. According to Deadline, Disney’s decision was carefully weighted and made after months of consideration; for both the company’s reputation and its future financial success, the move appears to be the right one. NEXT WEEK: March Movie Madness Continues!